For ground shipping, orders placed by 4:00 pm CST Monday-Friday are processed and shipped the same day. For same day express shipping, orders must be placed by 4:30 pm CST. There may be an extra freight charge for expedited orders. Our standard shipping method for all orders (except those addressed to P.O. 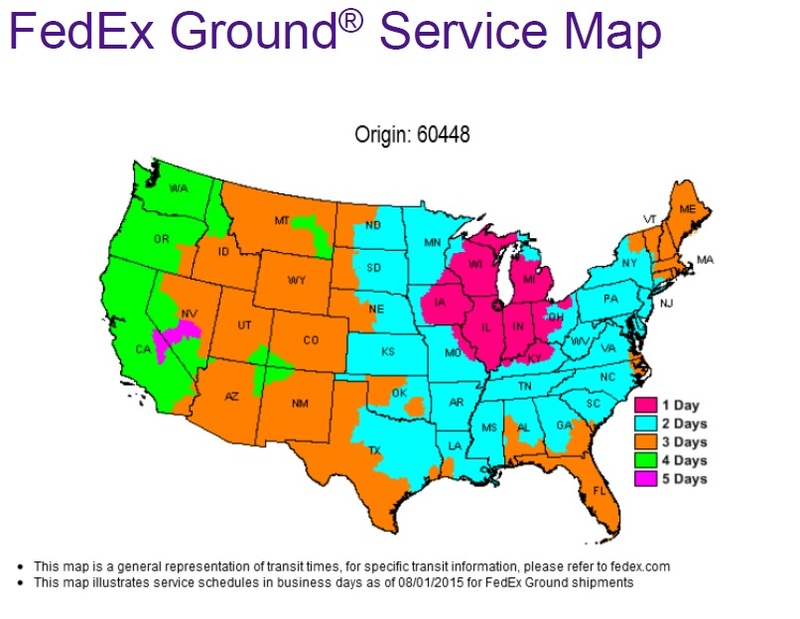 boxes, Alaska, Hawaii, or outside the United States) will be FedEx with detailed tracking from shipment to delivery. Expedited shipping is available at an extra charge. Please enter the final destination zip code for ground shipping transit times. Products may be returned within 30 days for a full refund (less shipping charges) if you are dissatisfied in any way. After 30 days a restocking fee of 10% will apply. Should you need to make a return, please call us at 888-416-2409 or 844-SUTURES (788-8737) and we will provide you with instructions for the return or exchange.